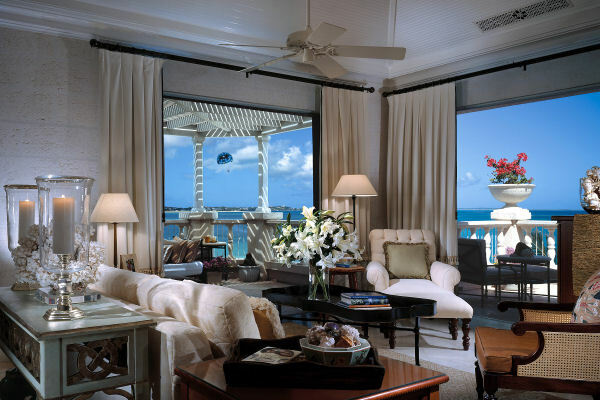 For the past few years my chicest of friends have made much-ballyhooed forays to the Turks and Caicos. The what and where? I wanted to know but was too afraid to seem uncool. I’ve traveled extensively throughout the Caribbean, but not heard of the island group till fairly recently. 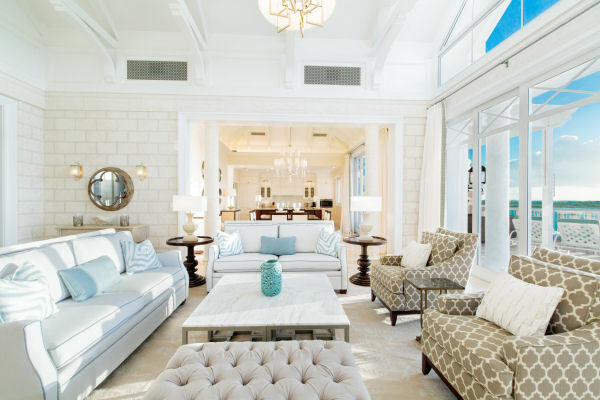 TCI, as it’s known locally, is a low-key haven for such high-profile types as Bruce Willis, Keith Richards, Donna Karan and Bill Gates, who crave the ultimate escape. If St. Barth’s is the place to see and be seen, the TCI is where you go to truly relax and commune with nature. Willis has been an environmental champion of the islands, lending his name to a successful campaign to prevent the erosion of the lush mangrove reefs that surround the islands like submerged forests. They are hot only lovely on the eye, they also protect the windswept land masses from storms and purify the seawater. 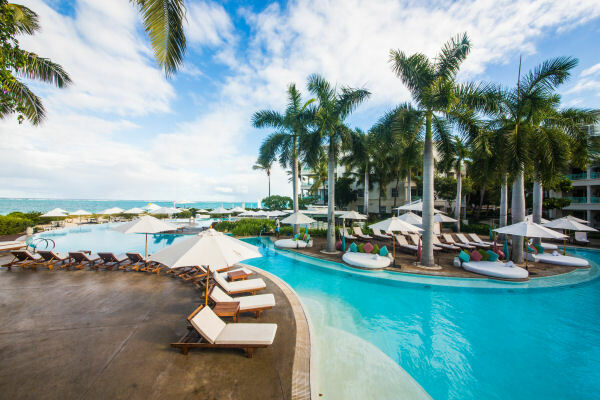 We are staying at The Palms Turks and Caicos, a chic resort on the popular Grace Bay. 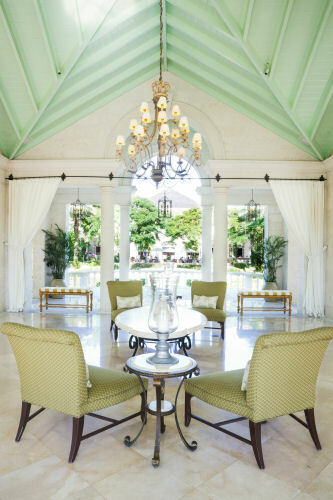 If a property can be judged by its first impressions, then The Palm’s open-air lobby with its soaring sea-green ceilings, marble floors and surrounding gardens augurs a luxurious experience. We are greeted by lovely maidens offering cool herb-infused washcloths and cucumber-mint elixirs. Our suite is as posh as expected, but it’s the views of the ocean with its stripes of green-blues and the colorful balloons dangling parasailers that keep us out on our own private terrace. Not a party destination, the area is known more for its natural adventures. We hired a boat which took us to a scenic shipwreck in shallow waters where, we were told, manta rays hide out. Next we headed for Iguana Island where we dropped anchor in a picture-perfect lagoon and admired the screensaver worthy views. Trekking on the Robinson Crusoe island we ogled the adorable iguanas that skitter about in the underbrush. Before heading home, we enjoyed a picnic onboard then headed to deep waters where the braver among us dove off the high board. Spa All that cavorting has left us ready for the spa. I opt for a treatment called Zareeba (an Arabic term meaning “private enclosure”). While the concept derives from Morocco, the botanically inspired ritual was designed by Jamaican herbalist Shirley Duggan specifically for the The Palms. You sit in a tented hut and stir a steaming cauldron of herbs to release their medicinal qualities. It’s a treatment designed not only to relax and rejuvenate, but also to cleanse and detoxify. And I can attest to that: I confess that I’ve never sweated so much in my life. In a good way. Food Foodies take note: There are more that 80 restaurants on Providenciales, the island where we stayed. The latest, which fuses Japanese and Peruvian cuisines, has just opened at the uber upscale Shore Club. While we couldn’t visit all eateries, we recommend Da Conch Shack for its location smack on a powdery beach and its spicy conch fritters and Coco Bistro for its overhead canopy of palm fronds and strong rum punch. There are no franchises allowed. Sorry Starbucks. The folks behind The Palms have just opened an even swankier resort. Located on a stretch of private beach and laced with exquisite gardens, the 860-suite enclave is sure to become a getaway for ultra-high-net individuals.